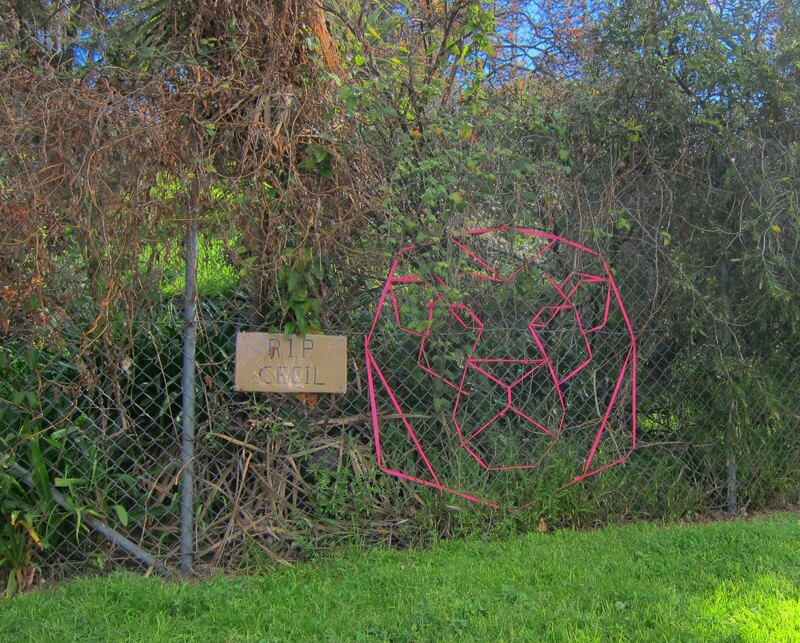 Someone put up this fun string art of a lion a few weeks ago on a fence by a road I use often on the way to work. In fact, I have seen it in a few other places. However, when the cardboard sign “RIP CECIL” was added next to it recently, it completely changed my thinking altogether. It now reminds me of the time when I visited Africa and saw these majestic animals roaming freely in the wild. I was filled with awe and wonder. But now I am saddened by the fact that for a fee, you are given the right to hunt and kill them. How can it be so? My news feed shows that the Dentist who did this has come out of hiding and returned to work. I can’t imagine what motivates him.